-Courtney Milleson is a Trekaroo Superoo , a serial domestic traveler, wife, and mother of three precocious children. When not busy running her life, she’s busy blogging about her running and life. You may know American geography and realize the Texas Panhandle is smack dab in the mid-west. But don’t try to tell the folks who live in the Texas Panhandle they aren’t from the South. Their Texas charm and friendly manners will make you yearn for a good Texas drawl, a glass of sweet tea, and long colorful sunset. They don’t all wear boots and cowboy hats either, but if you wear them, no one will think anything of it (unless your pant legs are too short). Good cowboy hats are measured in X’s and are either worn, held in a delicate hand, or placed upside down on a table. You can spot a rookie Texan just by how they handle a good hat. Don’t be surprised if you see a cowboy wearing boots eating sushi. It just depends on whether or not it’s date night. Oh, and starch… they believe in that stuff. The City of Amarillo is the primary hub within the Texas Panhandle, serving a three state area with medical centers, shopping, education, and entertainment venues. It’s probably true that more head of cattle live here than humans, but it really doesn’t matter – the folks living and playing here are doing incredible things. And, yes, you can buy a few dozen cowboy hats and boots while you are in town. 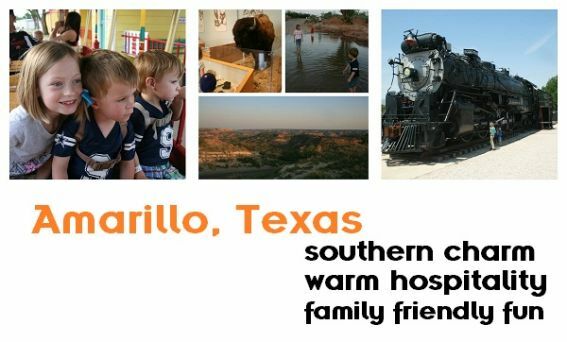 My family had the pleasure of exploring Amarillo for Trekaroo; here are our top picks. The city’s new Globe-News Center for the Performing Arts facility is dedicated to the arts and regularly hosts the Amarillo Symphony and other cultural events. Although we didn’t enjoy a symphony while downtown, we did visit the Madame Queen, a monstrous train engine. The engine was gifted to the city and moved to its current location in 2006. The move was so colossal that it was featured on the History Channel’s Modern Marvels. 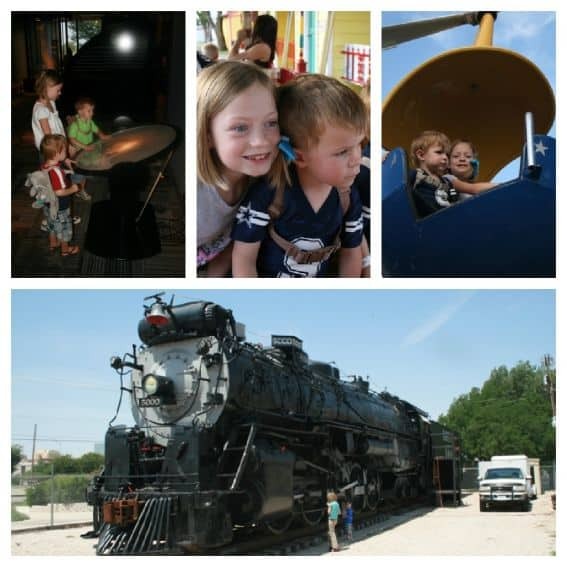 The Don Harrington Discovery Center has a great hands-on exhibits just right for children. The museum boasts numerous exhibits focusing on space, birds of prey, physics, weather, and even a Kinderstudio: an area for scientific exploration and art, reserved exclusively for kiddos six years and younger. The center is a fantastic place to burn off energy while making some neural connections. Thompson Park is home to the Panhandle Amarillo Zoo and Wonderland Amusement Park. For only a couple dollars, families can visit the zoo’s furry friends. Wonderland is a fun destination for families staying in Amarillo. My kids loved the amusement park rides. We could have stayed a lot longer than we did! Canyon, Texas is just a stone’s throw away from the ‘big’ city, but it’s a special place to my family. Many of our family members (including me) went to college in Canyon. West Texas A&M University is home to the Panhandle Plains Historical Museum. We visited the museum as an afternoon excursion and saw lots of great historical items. My kids loved being able to see fossils and bones of dinosaurs that had once roamed those very plains. If you’re in Canyon, you should venture down to see ‘the’ canyon. Palo Duro Canyon State Park is one of the most beautiful places in the Texas Panhandle, and also is the second largest canyon in the whole United States, just behind the Grand Canyon. It may seem a bit out of the way, but trust us, it’s well worth the time. The canyon is a million years worth of sculpting and nature in one nice, neat package. We waded in the water crossings at dusk. It was nice to connect as a family in the great outdoors. Many Americans only experience Amarillo as a pit stop along the long stretch of road called I-40. 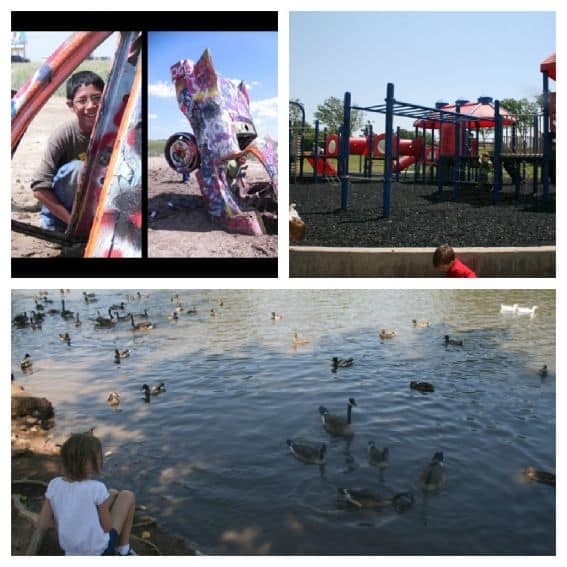 The city boasts numerous just-off-the-highway attractions convenient for traveling families. Medi-Park is an especially nice green area offering a pond, and a wonderful playground just perfect for letting the kids run around while stretching their road-weary legs. For a peaceful retreat from the road, visit the Amarillo Botanical Gardens, located within Medi-Park. The butterfly garden and resident cat delighted my children. As you drive through Amarillo on I-40, don’t forget to look for Cadillac Ranch where you can legally ‘tag’ a Cadillac! It’s a unique cultural icon that’s recently been featured as the backdrop of national fashion photo shoots. There is a who’s who list of folks who’ve ‘tagged’ the formerly black Cadillac’s, although someone else has probably tagged over their tag. You’ll need to bring your own spray paint or Sharpie – but do bring it! It’s a part of the tradition. The American Quarter Horse Museum is a great place to explore all things horsey and to stretch young minds and legs! The museum is home to a great collection of memorabilia as well as hands-on exhibits. The hands on exhibits often includes actual American Quarter horses in their outdoor arena. This is a place where you’ll see real folks wearing real boots! Hungry? The Big Texan is a great place to grab a good bite of grub. The restaurant is best known for it’s challenge to patrons. Anyone who can eat a 72 ounce steak (plus all of the sides and drink) get’s the meal for free. That’s a lot of meat. The Big Texan has been featured on several cable television shows and is a nationally known treasure. But, what you may not know, is that it’s a true family restaurant. The food is great, the service is exceptional and overall, it’s a great opportunity to experience some Texas culture! 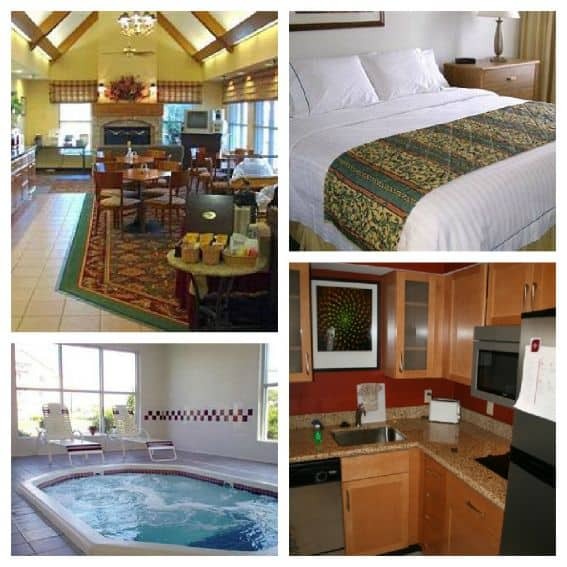 Our family stayed at the Residence Inn Amarillo by Marriott just off the interstate. Our suite was a perfect match. The living room had a pull out sofa and the hotel staff happily provided us with a roll away bed. My biggest take away was how nice it was to have a kitchen in the room. It featured an apartment sized refrigerator/freezer combo. It had a small microwave, and a two burner cook top, as well as a dishwasher and sink. With three kids, having a kitchen is a must! If you don’t want to cook, the Residence Inn has you covered. An expanded complimentary breakfast buffet is included every day of the week; week nights even boast a light dinner! In case hunger pains strike you at any hour of the night, a 24/7 market allows you to grab a snack or beverage of your choice. 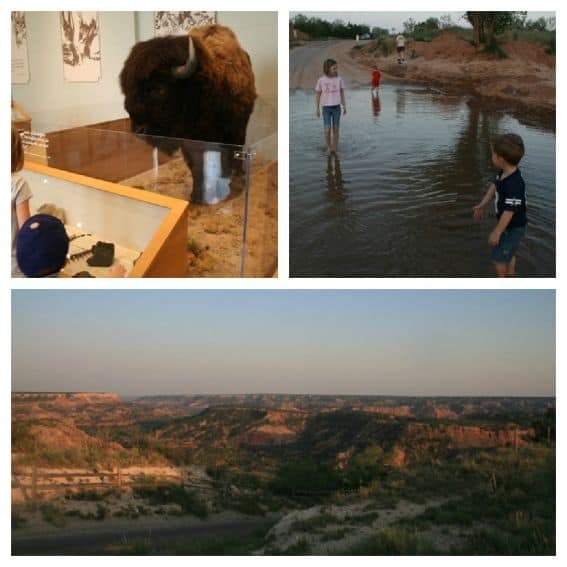 My family enjoyed our time in Amarillo and the many activities the region has to boast. If you’re driving through on your way to somewhere, be sure to stop in and get a taste of Texas hospitality, great food, and phenomenal views. You’ll be so glad you did. Disclosure: The author received complimentary lodging, meals, and attractions for the purpose of this review. All opinions remain her own. I live in Amarillo and saw this link on the Botanical Gardens facebook page. Great post!! Thanks for sharing some of the things the panhandle has to offer!!!!!! I didn’t know about the Madame Queen. I can’t wait to take my kids to see it!